Global recognition for outstanding work in the area of development in recent years; the International Table Tennis Federation grows in stature. Recently World Table Tennis Day was awarded third place as "Best Sports Governing Initiative" at the 2018 Sports Business Awards. 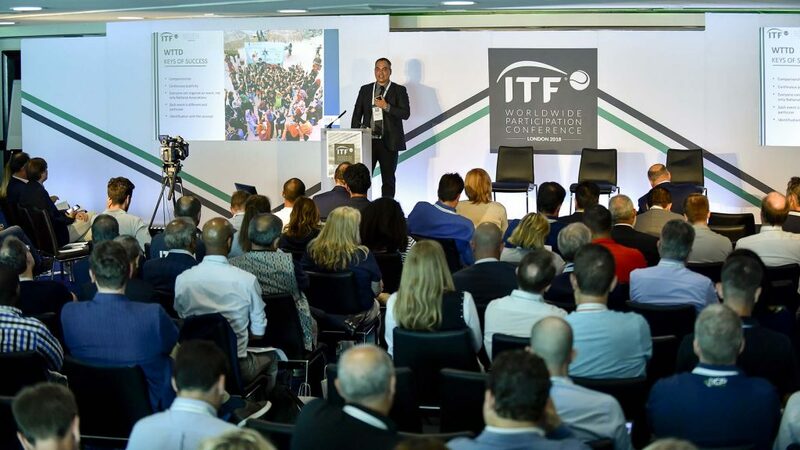 Now more recently on Sunday 8th July, the ITTF was one of invited to the 2018 Worldwide Participation Conference organised by the International Tennis Federation (ITF). The conference brought leading international experts together to discuss ideas on how to increase participation in tennis by consulting the experiences of other sports. Thus the participation of the ITTF. Currently, for the ITF one the most important goal in the next decade is to make the sport more popular by increasing participation. Venue for the gathering was the Stamford Bridge Stadium in west London, the home of Chelsea Football Club. Leandro Olvech, ITTF Foundation Director, was one of 180 delegates present from 55 countries. He addressed the meeting on the subject of the “Benefits of Participating in Sport and Physical Activity”; he highlighted the work of the ITTF Foundation and World Table Tennis Day as measures that enables both social change and inclusivity. Notable names who addressed the meeting were Judy Murray, former Great Britain Federation Cup captain, perhaps better known as the mother of Andy and Jamie Murray; Kit McConnel, the Director of Sport for the International Olympic Committee and Katrina Adams, President of the United States Tennis Association, addressed the meeting. The conference concluded on Monday 9th July with the focus on tennis. The International Tennis Federation considered the initiative a success and a major opportunity to reach their goals of development and participation in the short and long terms.